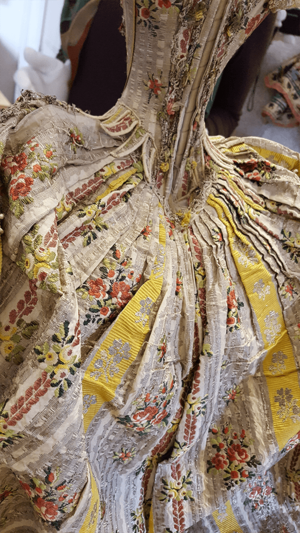 The Fashion Museum in Bath holds an embroidered mantua from the early 1770s. 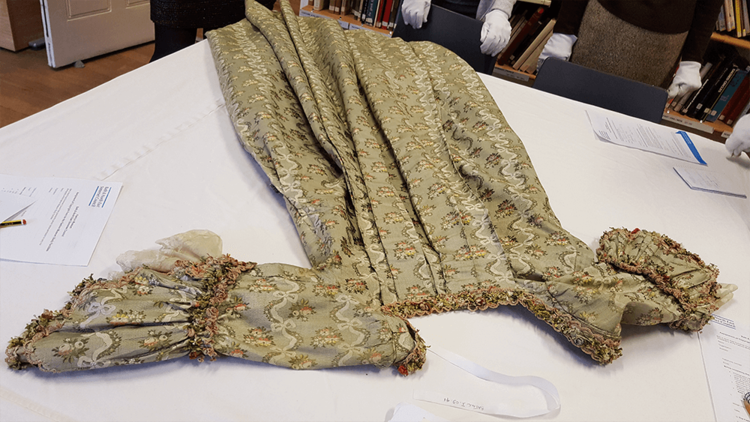 Donated by the family of Mary Linley, the dress may well have belonged to her sister Elizabeth, famous for her beauty and fashionable attire. 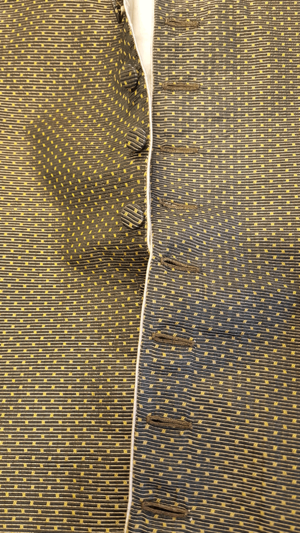 The design reflects the style of the early 18th-century, but remained in use as formal wear into Eliza's time. It is thought she may have worn it at court in her late teens. 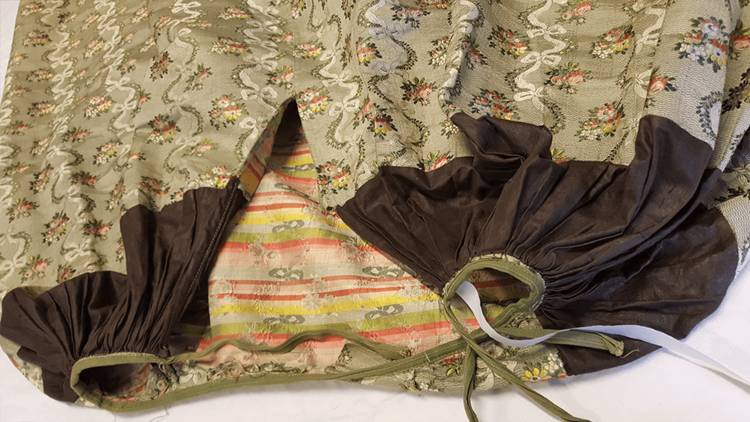 The two-part design consists of a robe worn over a wide skirt. 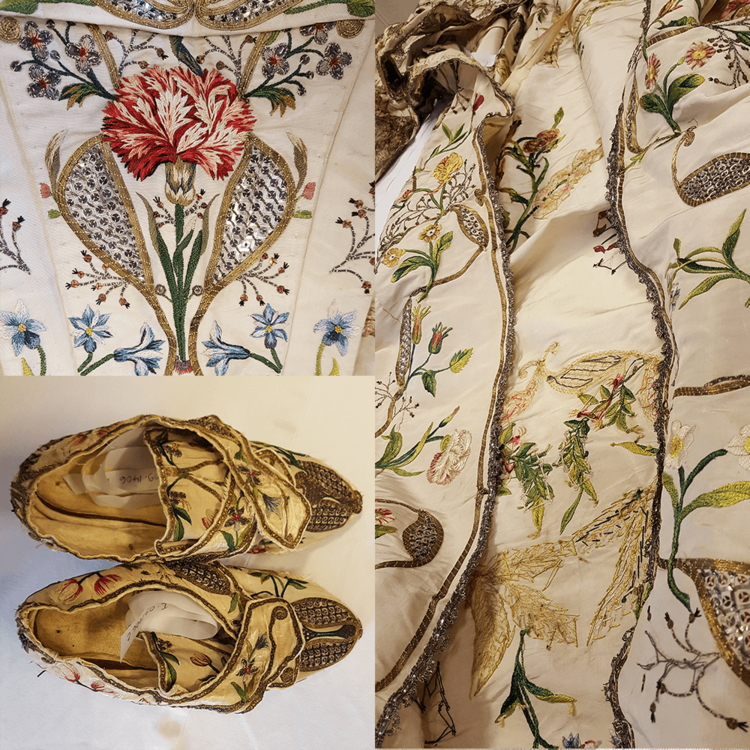 The cloth is embroidered with a floral design, which although fine, can be contrasted with the exquisitely embroidered silk of another mantua in the collection (c. 1750s) complete with matching shoes. The 'Eliza' mantua could therefore be seen as appropriate for an aspirational middle-class family, such as the Linleys. Of a similar date is a beautiful 'sack-back' dress, which reflects fashionable womenswear beyond court formalities. At the back, the robe is pleated at the neckline and flows straight down to the floor, hence the name. 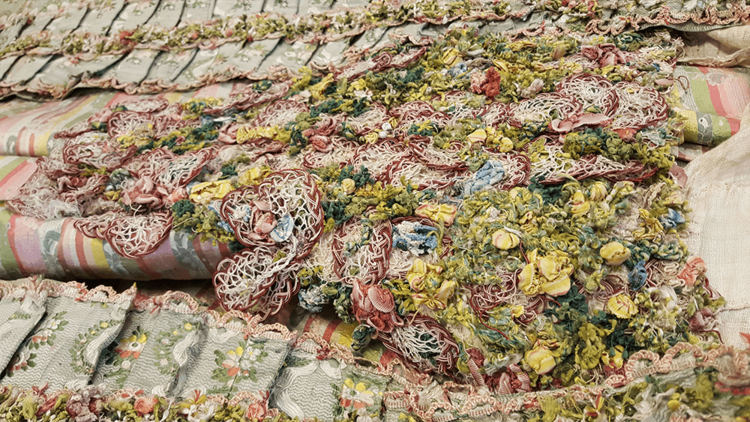 It is fastened at the front by a stomacher and sits over a petticoat of the same material. The sleeves are wide at the elbow and generously fringed with lace. It is of a similar construction to the blue dress worn by Eliza in the 1771 portrait now in Dulwich Picture Gallery. We saw a number of other stunning examples of Georgian fashion during our study session. 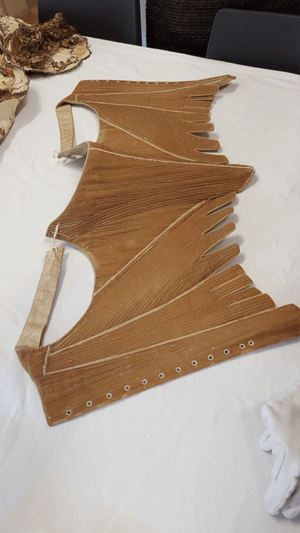 These included a miniature court dress used by mantua makers to present to aristocratic clients; a wooden patten worn outside to protect a delicate silk shoe; a finely boned corset; and a range of fashionable men's attire. 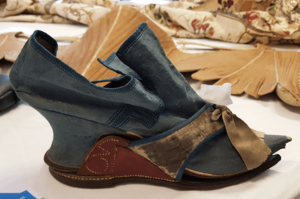 We are grateful to the Fashion Museum and curator Elaine Uttley for allowing us such privileged access to these historic items. To book your own study session, you can contact the museum directly.